Our company has been in business serving the South King/ Pierce County area since 1997. Our business’ philosophy is to keep it simple. Our company is based on taking care of our customers. It is important to us to have our customers happy with the service we provide for them. We believe you should not pay for a service until the job is completed to your satisfaction. This philosophy has worked for our business and each year we continue to grow. We always supply a reference list. We believe in value for your dollar. 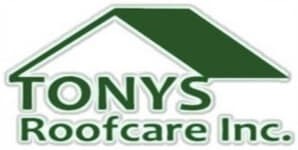 Why choose Tony's Roofcare Inc.? All of our roofers have a minimum of five years experience’ installing roofs. We only use the best material and we only use coil nail fasteners, which meets code in the state of Washington. We always replace all flashing metal when we install a new roof, and we use valley metal on all laminated shingle roofs. We install all types of roofing (tile, shake, metal and composition). We are established with all of our suppliers, so there will be no lien releases mailed to you from our suppliers.